Compared to the more widely used method where seeds are first germinated in a nursery and then the rice seedlings are manually transplanted to the fields, dry direct-seeded rice (DSR) involves sowing seeds directly in the fields with the help of a machine called a Multi Crop Planter. This technique has been popular in some developed countries of the world, including the U.S., but is new for farmers in India. The Ministry of Agriculture of the Government of India has been promoting this technique through its two flagship schemes, the National Food Security Mission (NFSM) and Rashtriya Krishi Vikas Yojna (RKVY). DSR brings many benefits to farmers—it reduces cultivation costs by 5,100 rupees (78 USD) per hectare, reduces water consumption by 25%, and increases profitability up to 4,600 (70 USD) rupees per hectare. “Moreover, when wheat is grown after a crop of DSR, wheat productivity has been found 8 to 10% higher than when grown after a crop of conventional cultivated rice,” says Virender Kumar from CSISA. Reports find DSR effective in reducing emissions of methane, a potent greenhouse gas responsible for global warming. CCAFS and Greenhouse Gas Emission quantification project are studying the benefits of conservation agricultural practices, like zero tillage DSR, on greenhouse gas emissions. 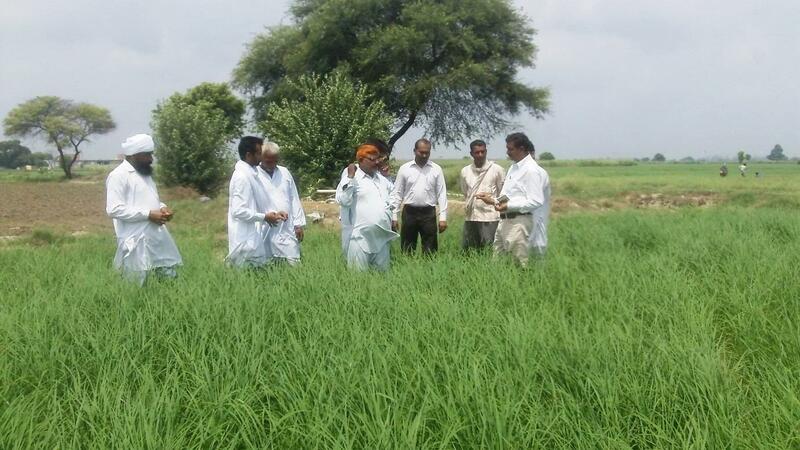 “For each tonne of rice production with conservation agriculture based management practices, on average 400 kg CO2 equivalent was reduced compared to conventional puddled transplanted rice,” says Dr. ML Jat from CCAFS.